Vladimir Samsonov edged out club-mate Dimitrij Ovtcharov across six games to book his place in an Olympic semi-finals for the first time, despite having to travel to hospital after picking up an injury problem with his ribs. 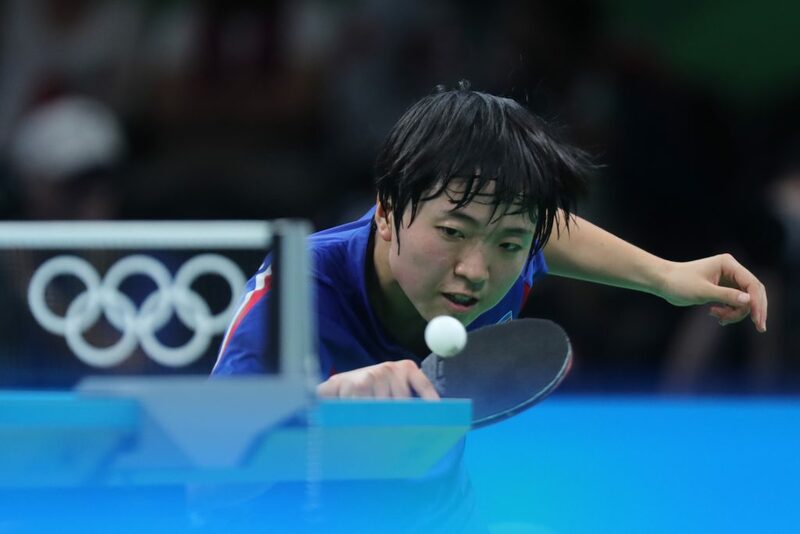 Elsewhere on quarter-finals day Kim Song I knocked out another top ten seed in the women's draw, and Ma Long brought a Rio 2016 Table Tennis hero's singles campaign to a halt. 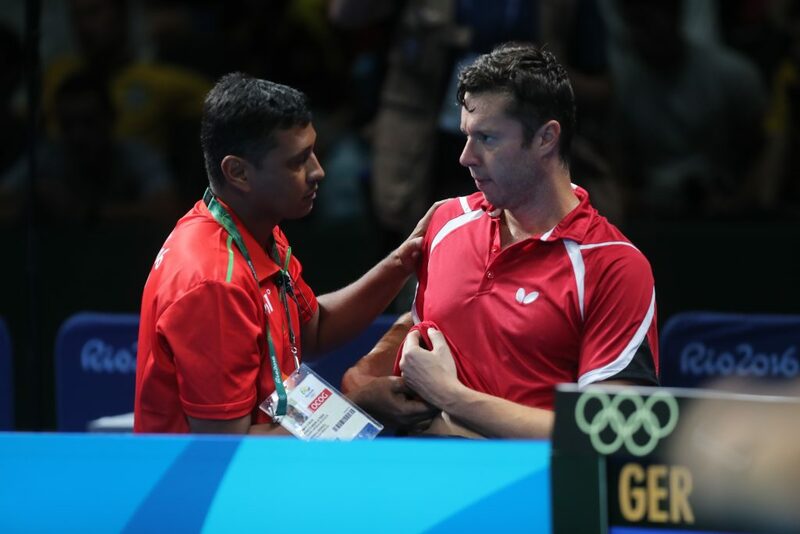 Vladimir Samsonov overcame an injury scare to reach his first ever Men’s Singles semi-finals at an Olympic Games, beating Dimitrij Ovtcharov 4-2. Tensions were high heading into the match, with the encounter being the subject of talk since the draw was made on August 3rd that set up the potential tie between the Belrusian and German players. Game one of the match featured nothing out of the blue as Ovtcharov made the better start of the two players; game two however, is where events turned very interesting. Both players were fighting it out hard, when Samsonov appeared to have picked up an injury. Complaining about pain in his ribs, Samsonov was allowed an injury time out. Upon returning, Samsonov (40) took control and won the end despite looking in clear discomfort. Ovtcharov was then involved in yet another high scoring game, having set an Olympic record for that very same reason the day before, and again just as he did in his last 16 match he lost it in deuce (19-17). The German player refused to give in and won game four, but it was Samsonov who against all odds prevailed (8-11, 11-7, 19-17, 4-11, 11-2, 14-12). “It was a really strange match; after my injury, I couldn’t play a strong forehand topspin, so I had to change something, tactically I had to play a bit slower and more passively… I’m getting closer to a medal but the players I’m going to face are very strong and I will have to see how badly injured I really am, I need to go to the hospital; I have had problems with my ribs several times for the past six years, I really hope it’s not bad” – Vladimir Samsonov. Zhang Jike (China) is also through to the last four of the Men’s Singles competition, following his resounding 4-1 defeat of Koki Niwa. Japan’s Niwa was actually the more confident looking player at the beginning of the tie, and the 17th seed went 0-1 ahead, rather to the amazement of Liu Guoliang (China’s Head Coach). But that was the only result to cheer about for Niwa, as Zhang kept his hopes of defending his London 2012 title alive by winning four consecutive games (5-11, 11-4, 11-7, 11-7, 11-4). The result means that Zhang Jike will face Vladimir Samsonov for the chance to reach the Rio 2016 Men’s Singles final. 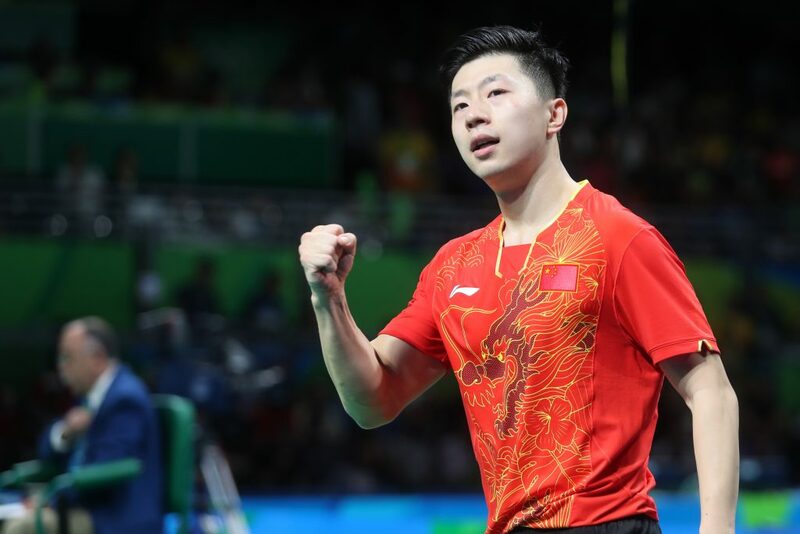 China’s other representative in the Men’s Singles category Ma Long, heads the top half of the semi-finals draw as the number one seed brought Quadri Aruna’s (27th) wonderful journey in the singles tournament to an end with a dominant victory (11-4, 11-2, 11-6, 11-7). Despite the disappointment of a 4-0 defeat, Aruna (Nigeria) can look back on his singles campaign at Rio 2016 with fondness after producing dramatic upsets and capturing the fans’ support. Jun Mizutani will be Ma Long’s opponent in the semi-finals, as the Japanese player won his encounter with Portugal’s Marcos Freitas in six ends (11-4, 9-11, 11-3, 11-8, 10-12, 11-2). Kim Song I put in another marvellous performance, as the DPR Korea player saw off Yu Mengyu (Singapore) to reach the semi-finals of the Women’s Singles. The 27th seed (Kim) had to endure three matches prior to the last eight, while Yu (9th) had played one less entering the competition a round later. However, despite having the fresher legs, Yu struggled to cope with Kim’s defensive game. Both players won alternate ends to start the tie, but to the surprise of her opponent it was Kim Song I who was picking up the points as she pulled out a two game lead (3-1). Yu tried to force her way back into the match by taking game five, but Kim continued to defend well and astonishingly won the sixth end to put herself through to the last four (11-8, 6-11, 11-5, 11-6, 9-11, 11-6). Kim is now just one round away from equalling fellow compatriot Kim Hyang-Mi’s appearance in an Olympic Women’s Singles final (Athens 2004). “I am very happy, I am so proud that I could make such a good performance on the biggest stage, I was able to control the match which was key for me today… It is a great honour to play here and with the world’s best players,” – Kim Song I.
China’s Ding Ning awaits Kim Song I in the semi-finals, after the world number one women’s player overpowered Han Ying (Germany). Next up for Fukuhara is the reigning Olympic Women’s Singles champion Li Xiaoxia. Seeded 3rd, Li won 4-0 for the third match in a row, but her quarter-finals victory was even more special due to the fact that it was against the 7th seed Cheng I-Ching (Chinese Taipei). Li stated that she surprised herself with the whitewash result, “I didn’t expect to win so easily against her. 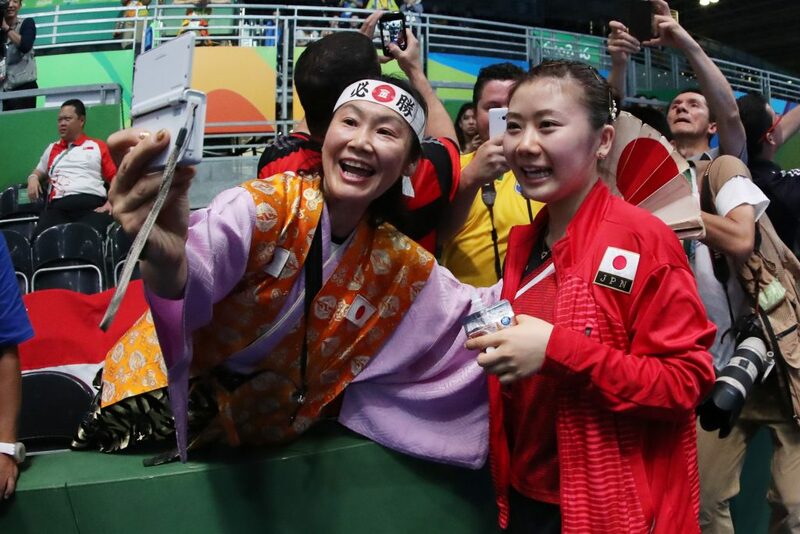 In her match yesterday, she was leading 3-0, and won 4-3, so I think she’s in good form in Rio, and I was ready to play full 7 games with her”.